If you’re thinking of buying Davie homes for sale, the odds are that you’ve been driving through neighborhoods in the area. And, you may come across for sale by owner (FSBO) signs in your travels. The question you need to ask yourself is whether you should consider buying a Davie for sale by owner, and if you do, how can you protect yourself? Why would someone sell a home on their own? One of the big advantages that is often mentioned is that the seller won’t need to pay a fee to a real estate agent. It’s rare that someone selling their home themselves do it because they are real estate experts. 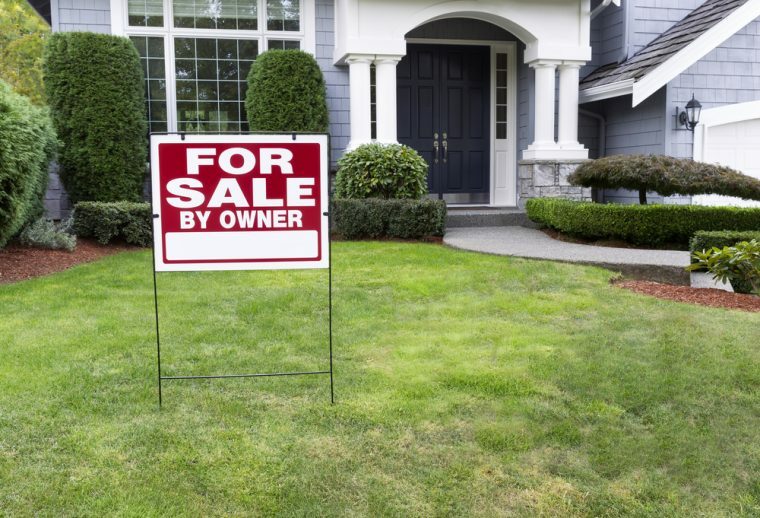 Here are some things to consider about a FSBO seller. Anyone can put their home on the market themselves. The internet is making that easier all the time. However, you need to keep in mind that the seller doesn’t necessarily know what they’re doing. The seller may not know how to set a sales price, write a purchase contract, identify the things that they must disclose about the house based on state regulations, and more. If you want to buy a Davie for sale by owner, you’ll need to educate yourself extensively to ensure that your interests are protected. Many people looking at a FSBO listing think they will get a good deal. But, FSBO sellers typically want to “save” the real estate agent commission and keep the money for themselves. Unless they’re very motivated, most FSBO sellers won’t reduce their price by the amount of a commission. They want to get full price to increase their profit. Real estate agents work hard to keep up with what’s happening in their local real estate market. They know how to find the right comparables. Comparables are homes that have sold in the area that are similar to the house you’re looking at. Agents will look at comparables and make adjustments for differences between that house and the house they’re listing. Agents also know what’s happening in the market. If prices are going up, they will factor that into setting a listing price. A FSBO seller may do things like use a Zillow Zestimate to determine what their home is worth. Few people actually research the accuracy of a Zestimate. According to Zillow, the median error rate for their estimates is 5 percent. Therefore, half of the Zestimates are within 5 percent of the selling price and half are wrong by more than 5 percent. On a 300,000 house, the Zestimate could be off by 5 percent, or $15,000. If the Zestimate is off by 10 percent, that represents a difference of $30,000. It can be a big problem for you as a buyer if a FSBO seller sets their price without the right research. Smart homebuyers will insist that their real estate agent is involved in a Davie for sale by owner transaction. The seller must agree to pay half of the commission they would pay if they had an agent of their own. The reason homebuyers want their own representative is because their agent is the only person in the transaction who does it for a living. And, there’s a lot to know to make sure your transaction runs smoothly. The purchase contract is the legal definition of your real estate transaction. In most states, real estate agents use an approved contract template that they can customize for each transaction. However, FSBO owners don’t necessarily need to follow the same regulations. If you’re going to buy a FSBO house, you’ll need either a real estate agent or a real estate lawyer to get involved to protect your interests. There are many things that you need to look for in a contract. You’ll need to have contingencies identified that will give you the right to have a home inspection and obtain financing before you make a firm commitment to buy the house. The seller needs to list certain types of things that they plan to remove from the home. For example, if there’s a chandelier that the seller wants to keep, they need to let you know that ahead of time. They also need to provide whatever disclosures are necessary in your state. As part of making an offer, you as the buyer will need to produce a deposit called earnest money. It proves to the seller that you’re serious about your offer. The amount is negotiable, but think in terms of 1-2 percent of the purchase price. If you buy a FSBO without your own representation, you need to be sure that your deposit is safe, and that it will be returned when appropriate. Typically, your real estate agent puts the money in an escrow account. If you’re buying without an agent, you’ll need to find a way to protect that cash until closing. The issues discussed above are only some of the things to look out for when you’re buying a Davie for sale by owner property. If you have a lawyer or a buyer’s agent, you will be fine. If you decide to fly solo, just be careful that you don’t regret your decision later. When you need a buyer’s agent or a listing agent, remember that we’re Realtors in Davie who know the market and can guide you through a deal that meets your goals. Give us a call at 954-242-8030 or send an email. We’re here for you! This entry was posted in Davie For Sale by Owner, Davie Real Estate. Bookmark the permalink.